Fever Night Criminal Costume, Black & White, with Dress, Chains and Hat Dry Clean Only 100% Polyester Adult size fancy dress costume. Not for children. Dyes may not be colourfast. Warning! Keep away from fire. 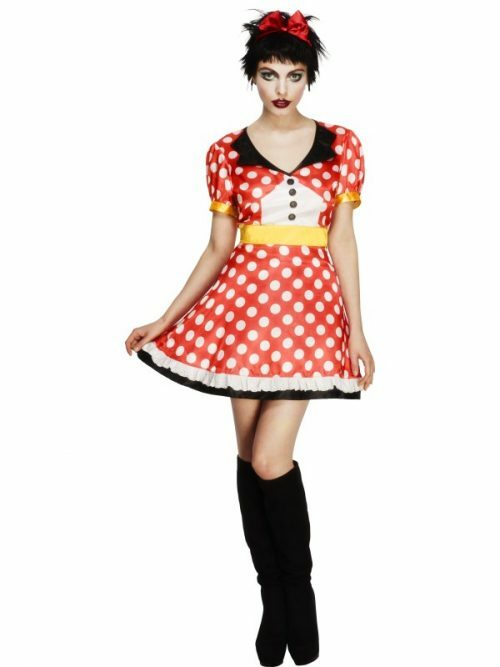 Fever Miss Mouse Costume, Red, with Dress and Headband Dry Clean Only 100% Polyester Adult size fancy dress costume. Not for children. Dyes may not be colourfast. Warning! Keep away from fire. Fever Enchanting Cat Witch Costume, Black, with Dress, Belt and Hat Dry Clean Only 100% Polyester Adult size fancy dress costume. Not for children. Dyes may not be colourfast. Warning! Keep away from fire. Fever Golden Princess Costume, Gold, with Dress Dry Clean Only 100% Polyester Adult size fancy dress costume. Not for children. Dyes may not be colourfast. Warning! Keep away from fire. 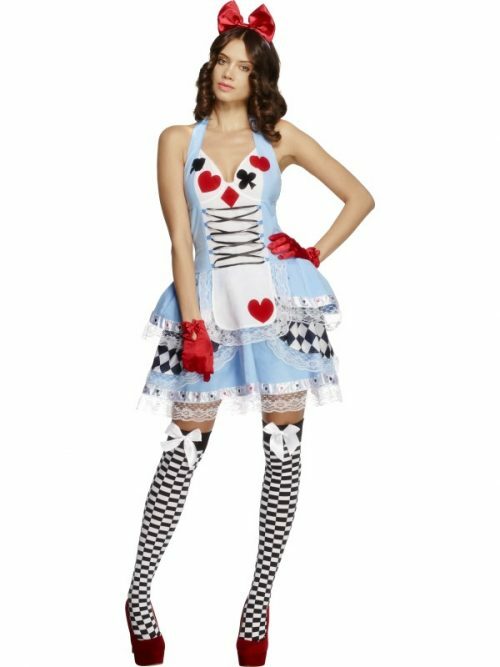 Fever Miss Wonderland Costume, Blue, with Dress and Hair Bow Dry Clean Only 100% Polyester Adult size fancy dress costume. Not for children. Dyes may not be colourfast. Warning! Keep away from fire.